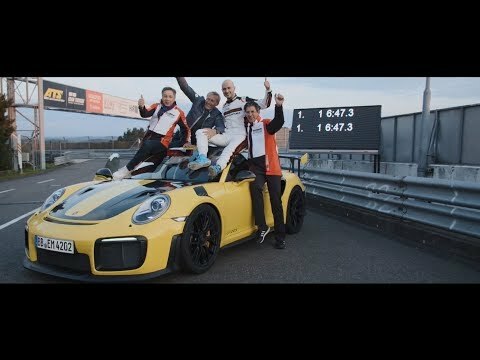 The sensational new Porsche 911 GT2 RS has set an incredibly fast time at ‘The Green Hell’ to become one of the fastest road cars to ever lap the Nurburgring. Powered by a modified version of the Porsche 911 Turbo S’ 3.8-litre turbocharged flat-six, the Porsche 911 GT2 RS managed to lap the formidable 12.9-mile circuit in just 6 minutes, 47.3 seconds; a time that allows it the title of ‘fastest Porsche 911 of all time’. To help give perspective on just how fast the GT2 RS’ time is – Pagani’s outrageous track-only Zonda R completed its lap just one second quicker. As mentioned previously, the 911 GT2 RS is powered by a six-cylinder biturbo flat engine that produces 700bhp and 750nm of torque. Benefitting from motorsport developed aerodynamic elements - such as the large rear wing and aggressive front air intakes - the two-seater sports car is capable of reaching 62mph from a standstill in just 2.8 seconds and a top speed of over 200mph. We’ll have more on the formidable Porsche GT2 RS later in the year. Whilst you wait for that, why not head over to the Porsche website and create your very own Porsche 911 GT2 RS on their configurator; is there any better way to spend your lunch hour? Let us see your creations on Facebook or tag us on Twitter (@sytner) and Instagram (@sytnergroup). Porsche announce that they shall be joining Formula E in 2019. With the Frankfurt Motorshow at an end, we look back at some of the highlights.